love, elizabethany: the real world: back to las vegas is filming! 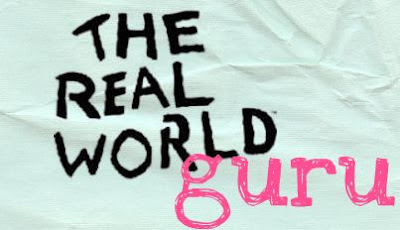 the real world: back to las vegas is filming! Tweet It's about that time! Another season of the Real World is underway and already filming [since AT LEAST October 8, according to tweets].. and they're back in Las Vegas! Chances are they won't call it "Back to Las Vegas" like we all hope, but I'm still going to call it that for now. They're finally back down to only 7 roommates! YAY! I feel like they took the advice from my chatrooms' polls. Safe to assume, right? There are four guys and three girls. Descriptions: "1 black guy who is good looking and built like Ty, 3 white guys, 1 of the guys has a receding hairline. There is a nerdy blonde guy in the cast who seems like he's a little crazy (he got into a fight in Vanity and was throwing glass pitchers of OJ and cran and got kicked out)... a punk rockerish thick black chick with a really frizzy afro, 1 homely blonde white girl who looks like shes 15, a darker hair latina looking girl who is the best looking from the cast." Apparently it's a really unattractive cast. I'm wondering if that's true or if the expectations get higher each season just because of stereotypes. They're also saying they're boring and not living up to any "Vegas" stereotype. Here's a Twitpic of one of the guys and a local... It's hard to see anything, but it's all that's found so far. Like we knew before, it's a penthouse suite in the Hard Rock! There's a freakin' BOWLING ALLEY in there! How fun! Those are the main deets for now! As I spot some more, I'll let you know! I got it all set up on my TweetDeck now that I know they're out there. Good job just copying VEVMO you stupid wannabe.